The US government has been petitioned to look into sudden unintended braking in the 2017-2018 Rogue. 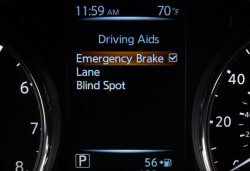 The SUVs are equipped with a malfunctioning Automatic Emergency Braking (AEB) “safety” system that activates the brakes for no apparent reason. The Center for Auto Safety says Nissan needs to skip the service bulletins and issue a proper recall.